If I were to give you a pen and paper and asked you to make a list describing the “blessed life,” what kinds of things would you write down? Some would write about money and possessions (the blessed life includes a nice house here in town PLUS a mountain condo or lake house, etc.). Each of our lists describing the “blessed life” would be slightly different, but most would include at least some of these elements. Now I want you to flash back 2000 years to the tranquil countryside of Galilee off the shore of the Sea of Tiberias. In this setting Jesus preached some of His first public sermons. Matthew records one of these sermons in Matthew 5-7: the Sermon on the Mount. Jesus begins this message in His introduction by telling us what He sees as the “blessed life.” It makes sense that He would begin there. After all, if Jesus was indeed the Messiah, the people would expect Him to make them happy, to comfort them, to make them . . . BLESSED. So Jesus begins His sermon with His list of what a blessed life looks like. We see this list in Matthew 5:1-10. Don’t you want to know what He said? What was on His list? Well then come Sunday to Wildwood Community Church as we will see what Jesus Christ thinks the “blessed life” looks like. 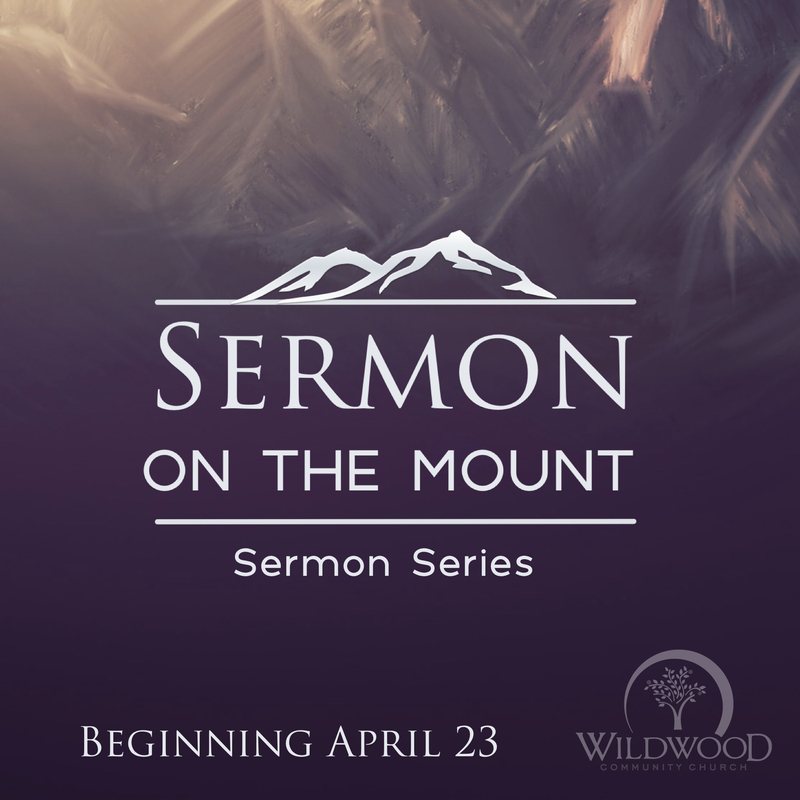 We will be starting a new sermon series on the “Sermon on the Mount” this week in our 8:30, 9;45, and 11:00 worship services. We would love to see you in one of them. Oh, and if you can’t wait to see how Jesus describes the blessed life, go ahead and grab a Bible and take a look for yourself at Matthew 5:1-10. Looking forward to worshipping with you on Sunday!